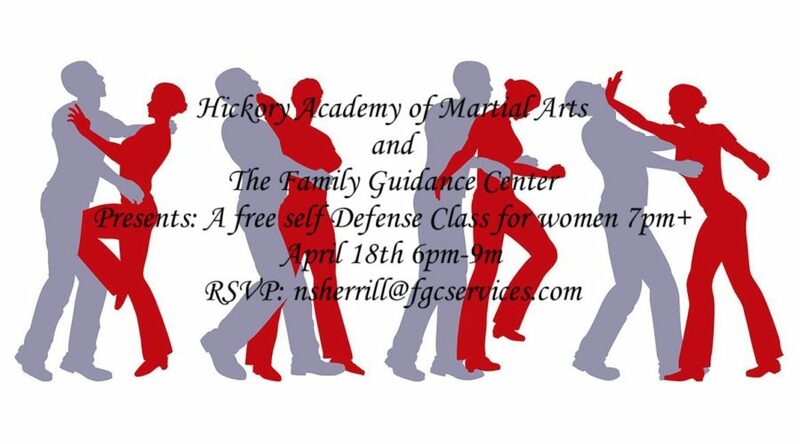 Hickory Academy of Martial Arts has teamed up with the Family Guidance Center in honor of Sexual Assault Awareness Month to offer a free two hour self defense class to the ladies of Catawba County. Please RSVP by calling 828-322-1400 or emailing Nicole at nsherrill@fgcservices.com. This event is open to females only, ages 7 and up. Space is limited but there is still availability! First come first service.